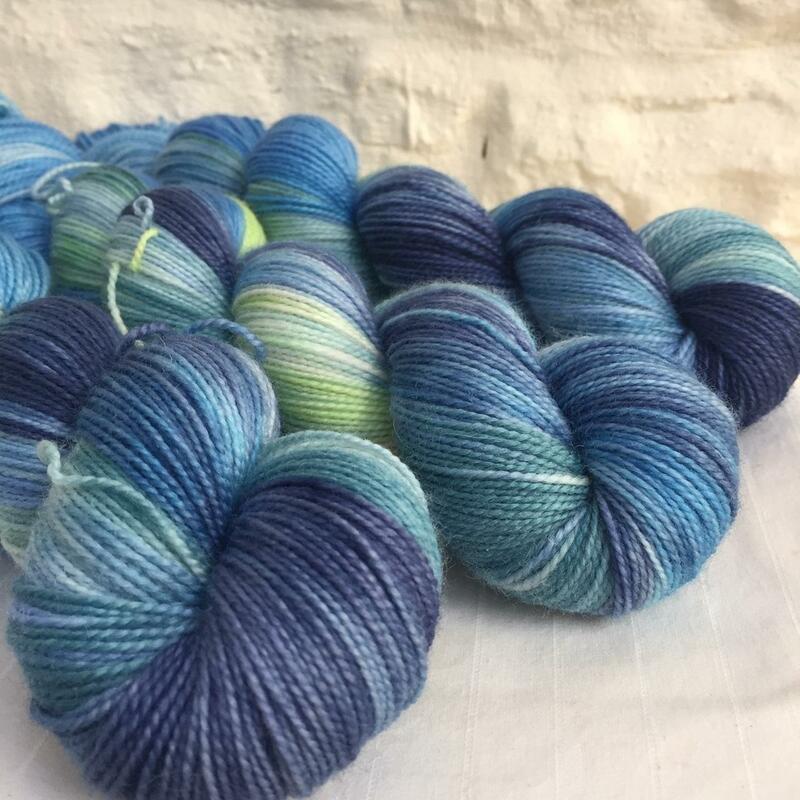 The Peak District town of Buxton is well known for its Victorian Spa. 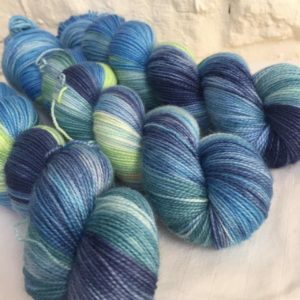 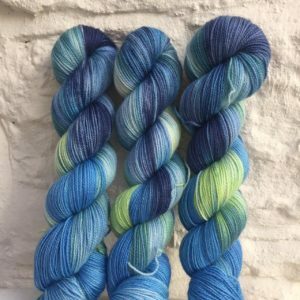 To celebrate this history, here is a watery colourway featuring a myriad of shades of blue, green and white. 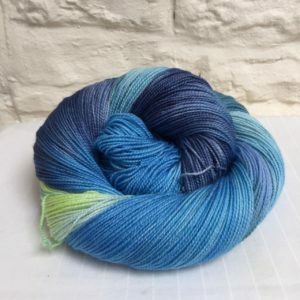 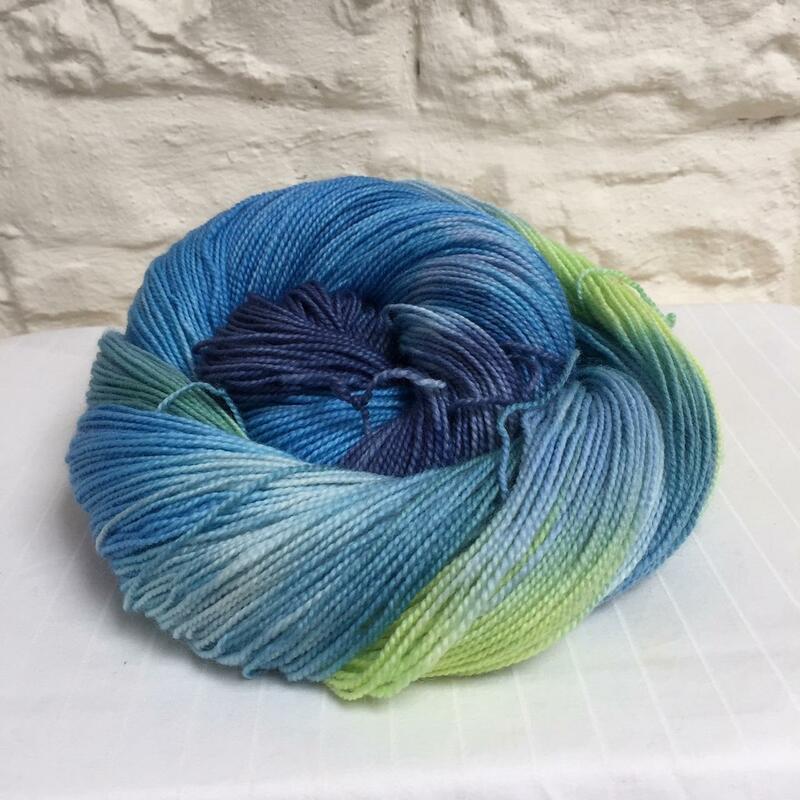 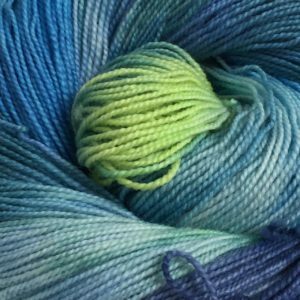 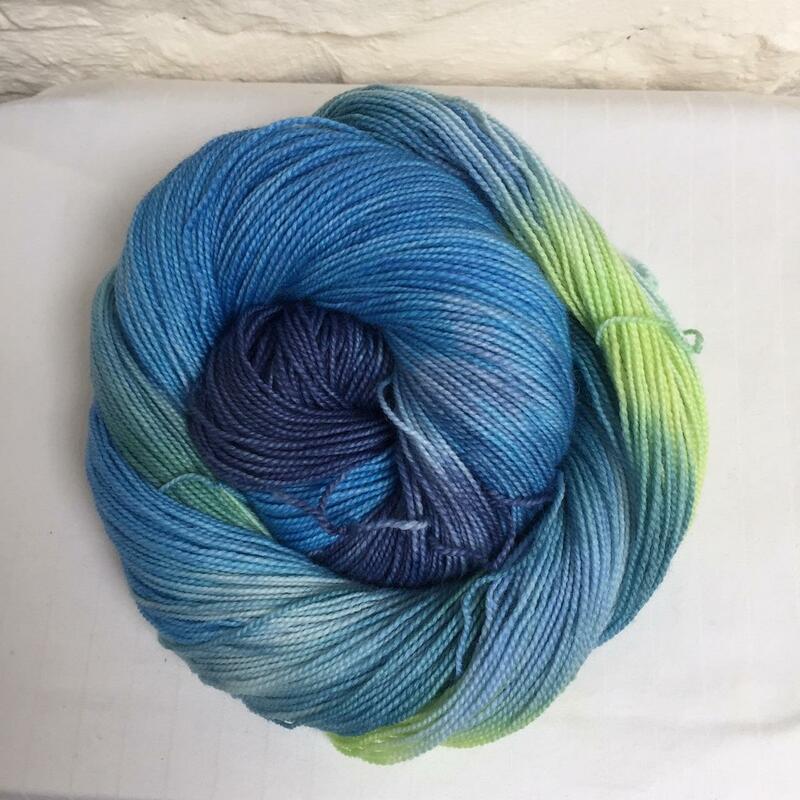 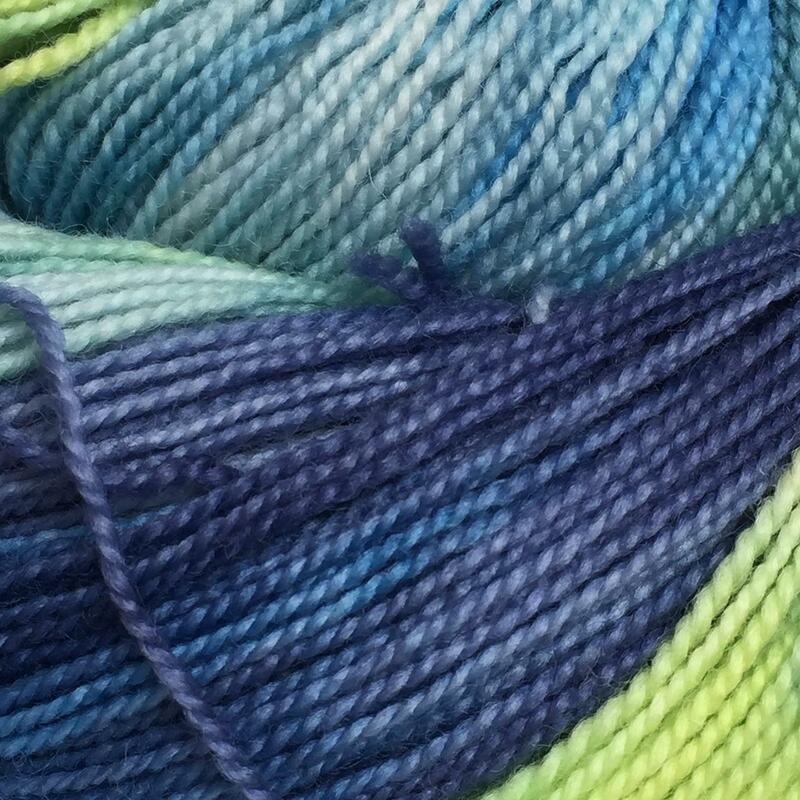 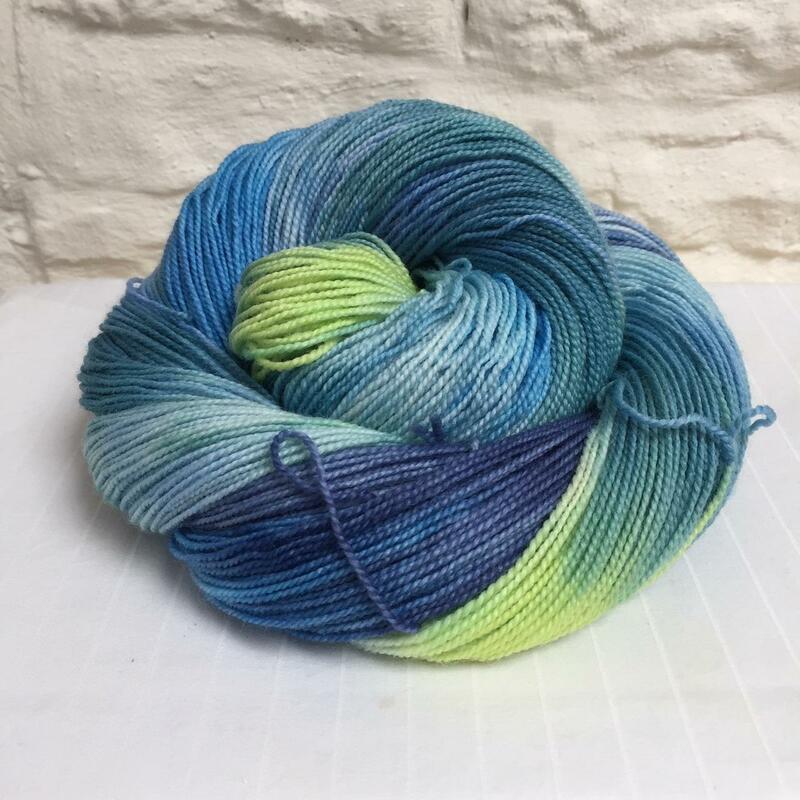 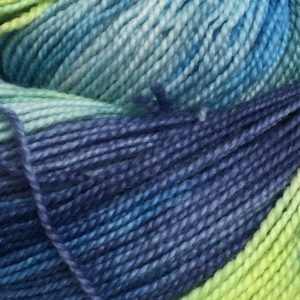 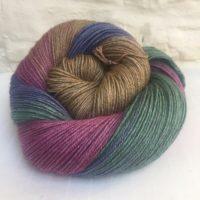 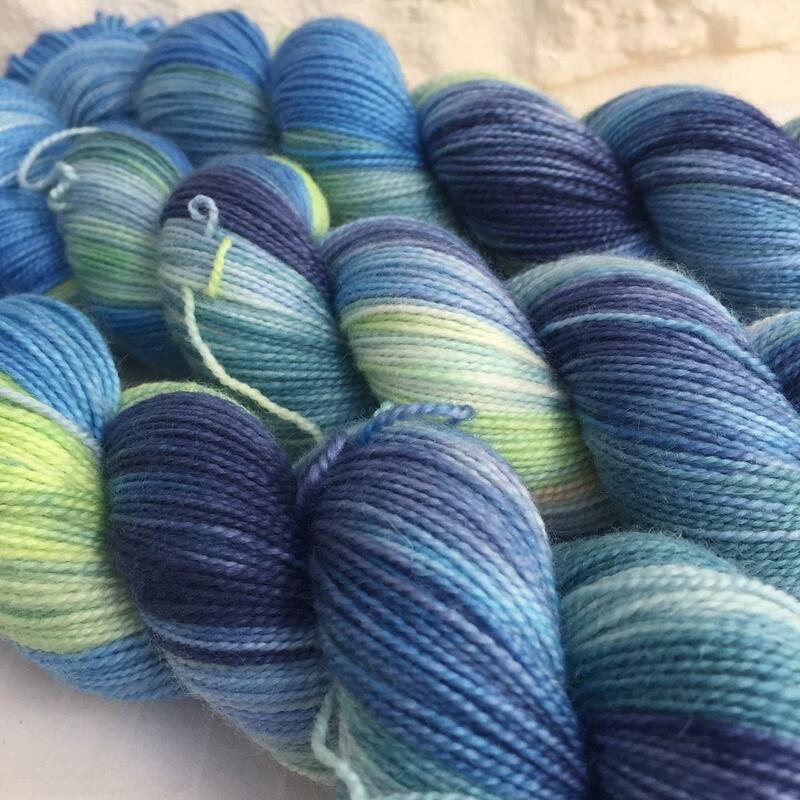 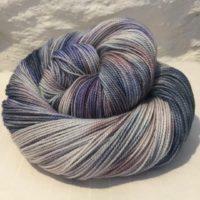 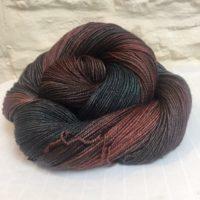 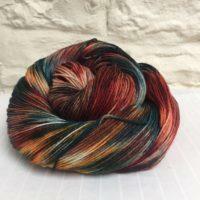 Hand-dyed onto a super-soft Bluefaced Leicester (80%) and nylon (20%) high twist sock yarn.